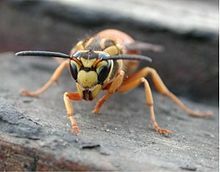 Bees and wasps are amazing insects, but can become troublesome when they nest over your front door or in a window of your business or home. Click on the pictures below for more information about these insects! 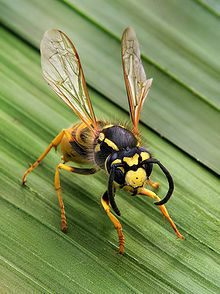 Bees vary in appearance but are normally much smaller than hornets and wasps. 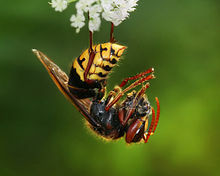 Most species are not nearly as aggressive, with the exception of "africanized" bees. Larger than other stinging insects. They are one inch to one and one half inch with black and white or brown and white color. If you disturb the nest you are in trouble. Click here for further information about Bees!